Bounce Network Announces Aretha Franklin Funeral Coverage! Bounce Network Annouces Aretha Franklin’s Funeral Coverage! 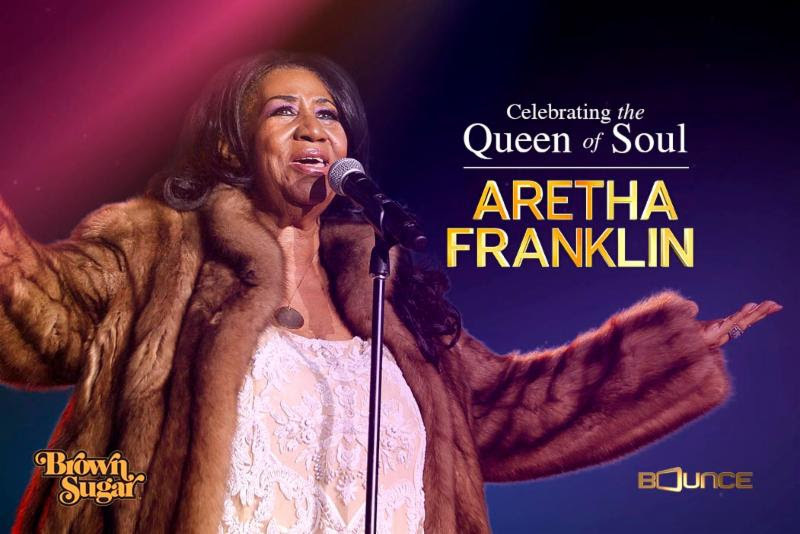 The Bounce television network and the Brown Sugar streaming service are teaming up to carry Aretha Franklin’s farewell memorial service live this Friday, Aug. 31, 2018. Bounce and Brown Sugar will partner with Bounce’s local Detroit affiliate, WXYZ-TV,for the special event, airing and streaming WXYZ’s hometown coverage and commentary nationwide. Bounce (@BounceTV) airs on the broadcast signals of local television stations with corresponding cable carriage and features a programming mix of original and off-network series, theatrical motion pictures, special events, live sports and more.Visit BounceTV.com for local channel information. Brown Sugar (@BrownSugarApp) is Bounce’s popular new streaming service featuring the biggest collection of iconic African-American movies available, as well as Bounce originals, live special events and more. It is available on Apple TV, Roku, Amazon Channels, Amazon Fire TV, Amazon Kindle, Android and Apple smartphones and tablets and web browsers via BrownSugar.com. Brown Sugar also has Google Chromecast capabilities which allow video to play on televisions directly from mobile devices and tablets for consumers with Android and iOS devices. There is a free initial trial period for subscribers with a retail price of $3.99/month thereafter.Visit www.BrownSugar.com for more information.